Removals - Storage - Packing - Piano Moves in Nottingham, Derby, Leicester and beyond. With each enquiry we provide a free, no obligation home visit to asses the size of the removal job in question, taking into account the amount and type of furniture to be moved. 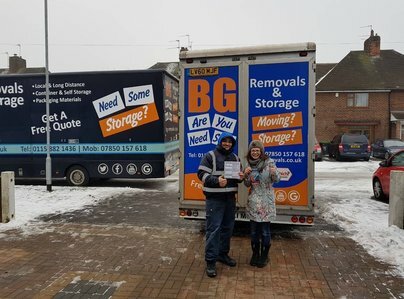 BG Removals is a family run Moving and Storage firm specialising in all aspects of a house move or office move. 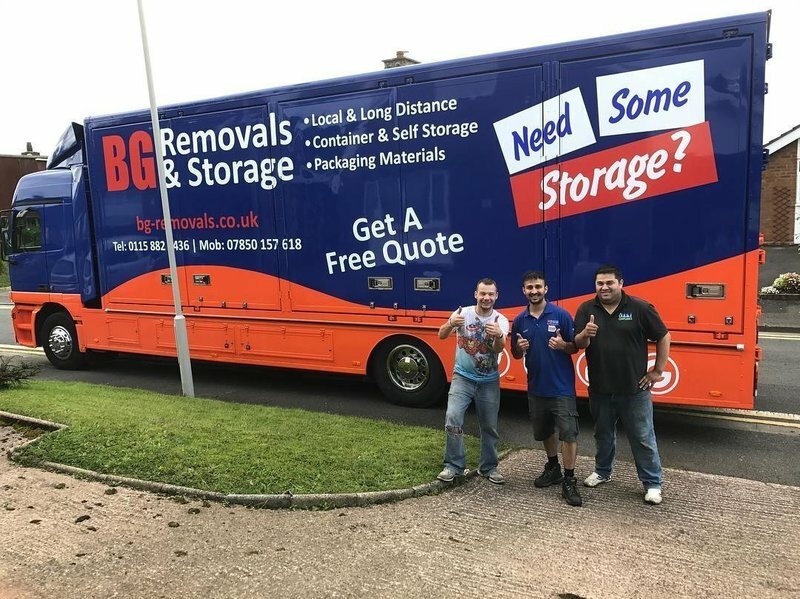 Whether you need a full or part packing service, moving locally or nationally require dismantling or assembly service we provide the complete moving solution. Are you Moving House ? Whether you are moving within Nottinghamshire, Derbyshire, Leicestershire or elsewhere in the UK, we have the removal lorries and vans and storage facility and the house removals expertise to help you. 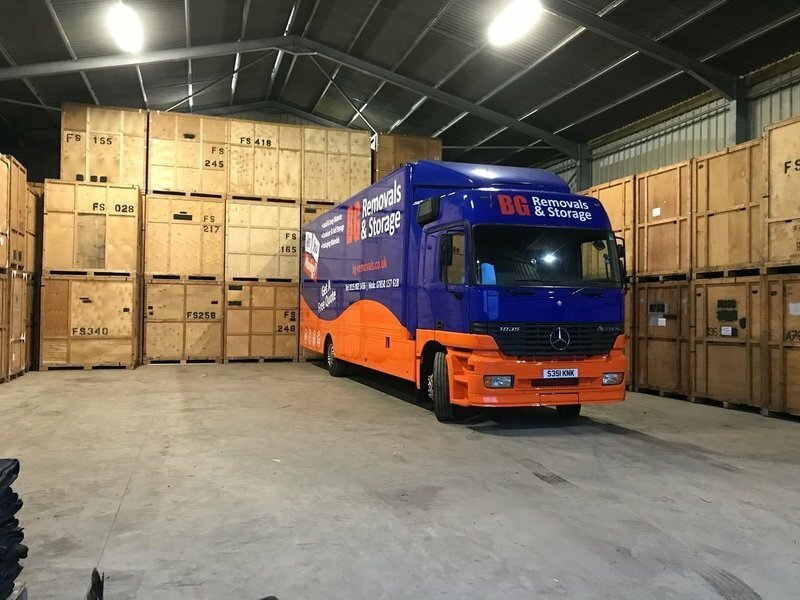 Our experienced office removal team can help you to plan your office move and handle your move so that your business is up and running at its new location as soon as possible without any downtime. BG removals gave us an quote early on in our sale negotiations but things took rather a long while to sort out. When our buyer wanted a very quick completion Bashir from BG offered us an early date and the quote was still the original price which was far less than other firms who wanted us to leave them to do everything at a higher price. We were happy to move a lot of smaller items - books, pictures etc ourselves in advance of main move to didn't want the 'full service'. BG were happy to fit in with us on this. Excellent service, very quick emptying the house although we had prepared well and equally quick unloading. By the time I got to the new address after last minute cleaning and a 1.5 hour drive they were just leaving. All done and dusted by1pm. We would recommend them to anyone. The two crew were pleasant and cheerful with a sense on humour and attention to detail when packing. They did arrive earlier than expected, due to not being sure of where we were - fortunately not a problem. Three very professional movers came and loaded up the spacious truck. They were polite, friendly and got the job done very quickly. There were no problems, but the team communicated with me throughout. Excellent service!. Arrived 10 minutes early. Polite and professional. Move was completed by 1:30pm. Would use again. Very careful with our items etc. Excellent service. Very friendly and polite. Very efficient. You have made our move go so smoothly. Your chaps were very helpful, polite, and pleasant. It was difficult to get the furniture into a three storey house but they found a way to get round it. Brilliant service and would definitely recommend them. Brilliant service, arrived on time, got stuck straight in. Worked hard, were friendly and professional. Would recommend. Early arrival, efficient and friendly. Everything was great. Quick and competitive quote. Friendly service. Can't fault them. Brilliant first-class service. On time, and well within budget. No paint scratches, nil. Thank you. Very nice team, very coordinated. They made the removal less stressful than we thought.